Will has becoming a singing fool on every Letterman appearance. It’s time he sign a vegas deal maybe? Well, the re-run holocaust that began last week continues this week. Really, the only shows that aren’t on vacation this week (and next week, for that matter) are The Daily Show, The Colbert Report and The Late Show With David Letterman, Lopez Tonight and Chelsea Lately. Those are the only shows NOT in rerun this week. Not a lot of comedians on Letterman, mostly Hollywood types… (Drew Barrymore, Brian Williams, Anne Heche, Katy Perry). To finish up our The Other Guys promotion-a-thon, we have the dynamic duo at Charlie’s table. 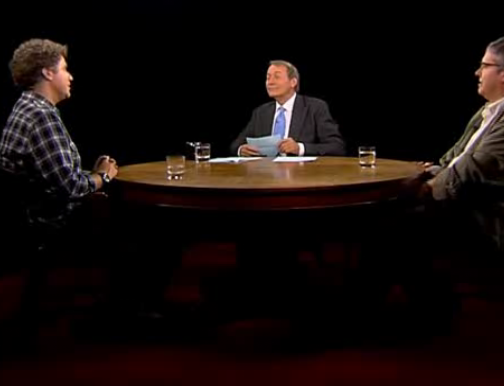 They discuss the movie, their SNL history and the Wilde/Stallone dichotomy of improv. This is the funniest thing I’ve seen all week. Remember how Jimmy Fallon would crack up in every SNL sketch he was in? Well, this time he doesn’t even make it TO the sketch before breaking up. Will Farrell + Fake Arms + Deli Meat = Comedy! In the studio to promote The Other Guys, Will Ferrell discusses drinking your liquids slowly, being the United Way of comedy and the dubious talent of Rob Riggle. The glasses say he parties, but the bracelets say he cares. How did Letterman end up in bed with Will Ferrell and a bouquet of roses? This week is Will Ferrell Week across the talk show universe. 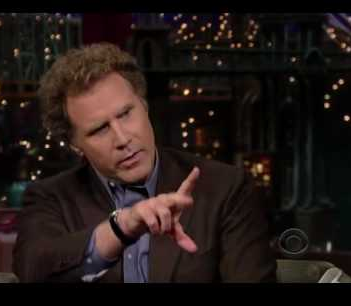 Ferrell is promoting The Other Guys, a new film that also stars Mark Wahlberg, Samuel L. Jackson and Dwayne (The Rock?) Johnson. The movie opens this Friday. Ferrell will be on Letterman tonight (Monday), The Daily Show on Tuesday, Live With Regis and Kelly on Wednesday, Jimmy Fallon on Wednesday and Lopez Tonight on Thursday. 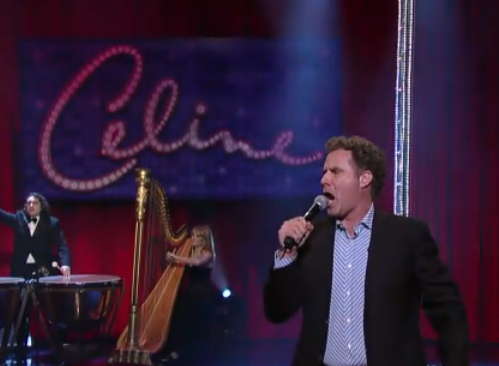 So you can get your Ferrell fix pretty much every day this week.